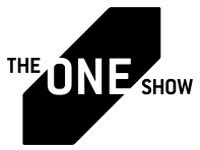 NEW YORK, USA: The One Club has announced that it has introduced a quarterly entry system for The One Show, as well as a set of public relations categories, including Consumer, CSR, Non-Profit, Innovation and Craft. The quarterly system divides the entry periods into four deadlines, beginning in July and ending with the usual final deadline at the end of January. The first quarter deadline is 14 August, the second is 30 September, the third is 30 November 30 and the fourth is 29 January. Two shortlists will be announced, the first in early October and the second in early April. "The quarterly entry system benefits the creatives entering, the judges reviewing and the quality of the work at The One Show," said Kevin Swanepoel, CEO of The One Club. "Agencies are able to submit their work when it is fresh and the media files required to submit an entry are readily available. Meanwhile, judges will have the opportunity to review work when it is topical and will have less pressure to review work from the entire year all at once. This system has worked very well for our interactive categories, which is why we expanded it. The result will be work that gets as fair a shake as possible while making it easier for agencies to enter." For more information, go to www.oneshow.org.